Kyle Hollingsworth - Founders Brewing Co. Prepare yourselves for some amazing music and crazy delicious beer. 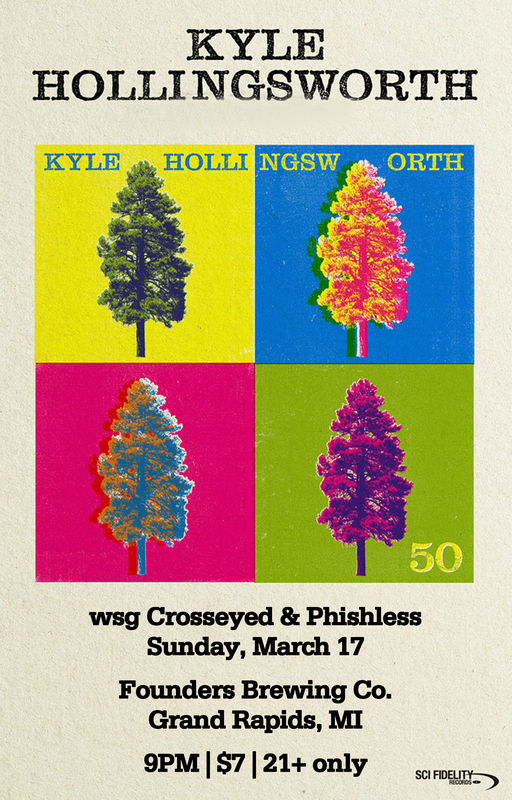 Crosseyed and Phishless pays tribute to songs that Phish has already paid tribute to – a true Phish “Cover-Cover” Experience. Expect to hear your favorite songs that Phish covers such as songs by Talking Heads, Rolling Stones, Bob Marley, Ween, Stevie Wonder, The Beatles, Velvet Underground, and many more!